Our core mission is to “attract, train and retain talent.” We are well aware of the fact that without talent, we have nothing at all to provide to our clients. Everything at the Firm (including, training, culture, client service, profitability, platform and brand) revolves around our succeeding with this single mission. We have two mission critical goals: First, we work to WOW our clients by oversatisfying them; instead of “just” doing a good job we strive to do a great job. Second, instead of “just” doing great legal work, we are here to earnestly help our clients grow their businesses. 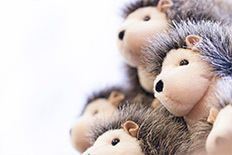 Our hedgehog is our unifying principle. It stands for the proposition that we really care about our colleagues and our clients, and not just because lawyers bill hours and clients pay us money; it is because there is something special to us in these relationships.